Our expertly blended aromatherapy facial oils are ideal for natural skincare. Containing only the finest essential oils and natural plants oils, our skin nurturing facial oils are rich in nutrients, antioxidants and essential fatty acids that provide vital nourishment to the deepest layers of the skin. Used regularly these therapeutic oils will help to promote soft, supple, more radiant looking skin. Our aromatherapy facial oils are 100% natural and suitable for all skin types including sensitive and oily skin (natural plant oils are non-pore blocking and can help to balance sebum production and reduce the appearance of blemishes). Ideal for daily use to boost the skin's hydration levels and to enhance the effectiveness of your facial moisturiser. 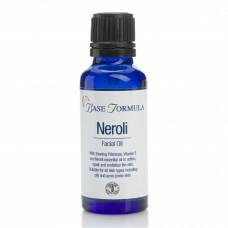 Our Neroli Facial Oil is blended with 100% pure Neroli Essential Oil, Coconut Oil, Evening Primrose ..
Our Rose Facial Oil contains a restorative blend of Rose, Geranium and Patchouli essential oils in a..